The original version of the SLX 4-part grinder was an amazing piece of kit and the new SLX 2.0 takes everything that made the first one what is was and takes it just that little bit further. 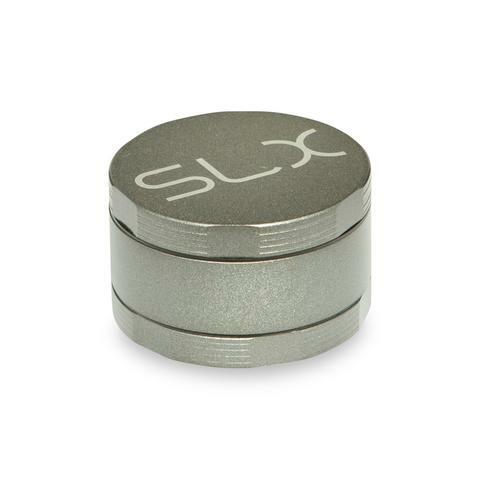 The SLX 2.0 Herb Grinder comes in 2 different sizes: Medium (2 inches in diameter) and Large (2. The original version of the SLX 4-part grinder was an amazing piece of kit and the new SLX 2.0 takes everything that made the first one what is was and takes it just that little bit further. 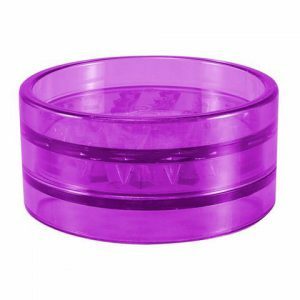 The SLX 2.0 Herb Grinder comes in 2 different sizes: Medium (2 inches in diameter) and Large (2.4 inches in diameter) so these truly are great discreet, portable herbal grinders. 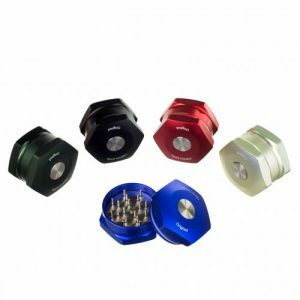 The grinder in CNC’d from a single piece of 7075 aerospace grade aluminum and is then coated with a non-stick ceramic coating that means you’ll never have to clean your grinder out ever again. Just give it a quick wipe and everything just comes off. The coating is also bonded to the aluminum on a molecular level so you know you will never have to worry about any of it coming off and contaminating your material but, even if it did, everything is made of non-toxic FDA-approved substances. The trapezoid shaped teeth do a great job of making sure that you herbs are ground up to a perfectly even and fluffed up consistency without crushing anything. There is also an ultra high grade sifter screen built into the base to enable you to collect all the resin glands that fall off your flower during grinding. Please select the size of your grinder in the dropdown menu.